I hope that you had a wonderful Easter! We had twelve for dinner and I couldn't be happier. Even though I kept setting the smoke detectors off, the meal was delicious. My sis-in-love smoked a ham that was to die for! The church service was fabulous and I am so thankful for our risen Savior! 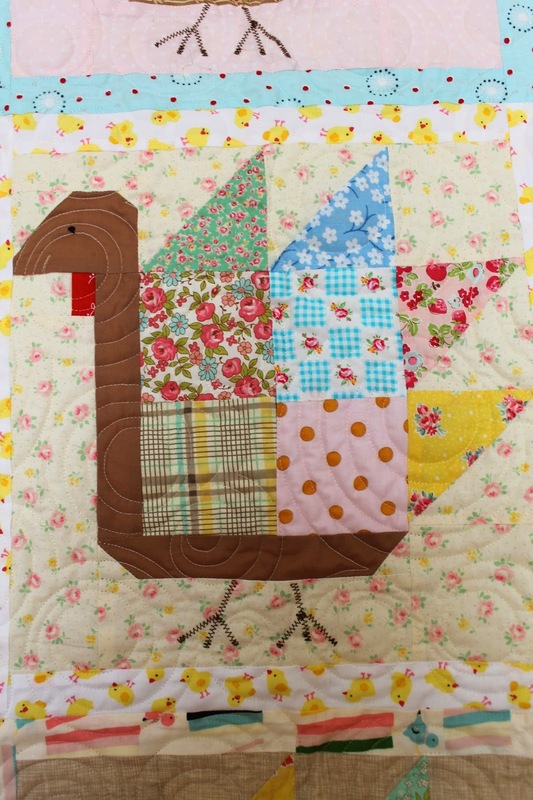 I finally got my Tom Turkey quilt finished. 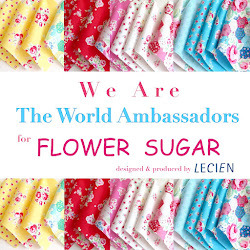 It was a free block pattern on Instagram from Lori. The blocks were made using my scrap basket. I love the colors. I also love the cute chick fabric I used for the backing. 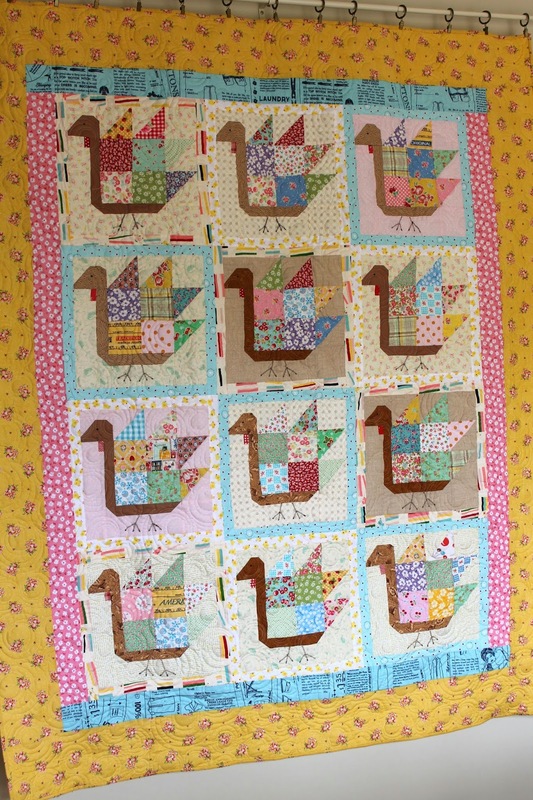 I didn't want to tuck it away just yet for Thanksgiving so I'm calling it my Spring Chicken quilt. 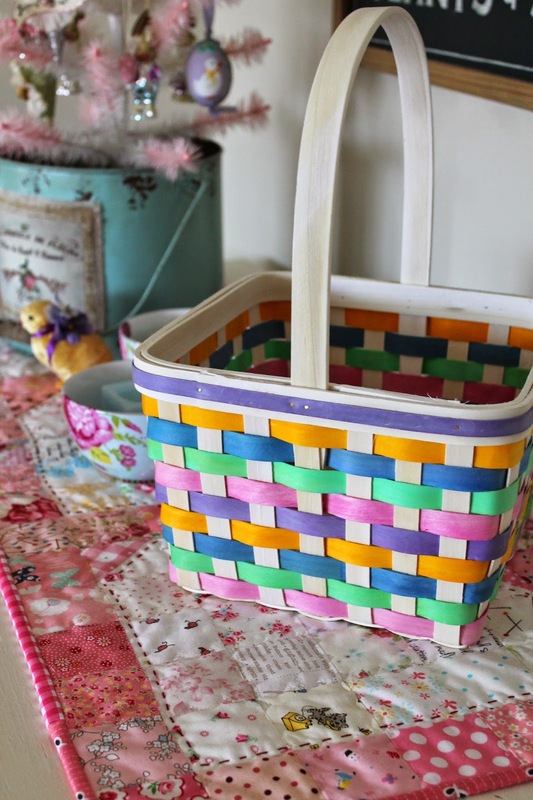 I so love the colors of spring and have decided to leave the Easter decorations out a while longer. 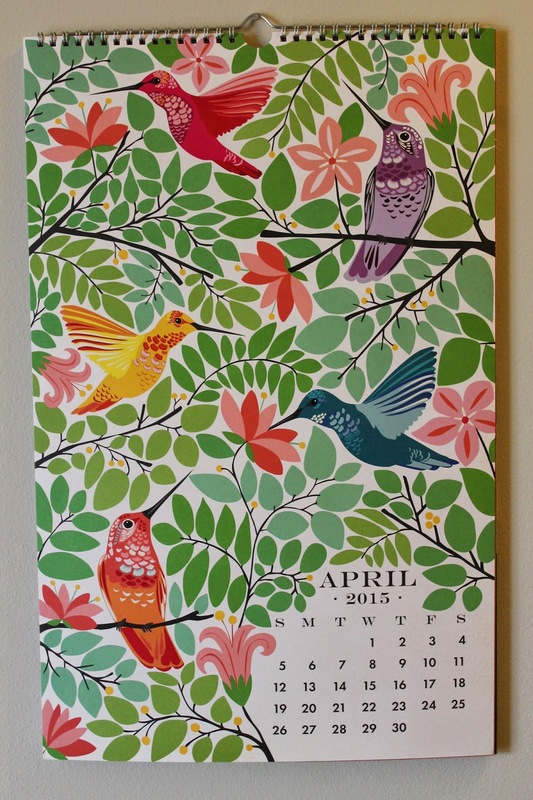 Spring may be taking awhile to get here outside, but it has arrived inside! Absolutely adorable! I loved the backing fabric you chose. It is perfect! I love your quilt! My Christmas quilt stays out all year, so I don't see why your turkeys er chickens can stay out all week! Beautiful quilt, love the fabrics and the colours. Sounds like a great Easter. 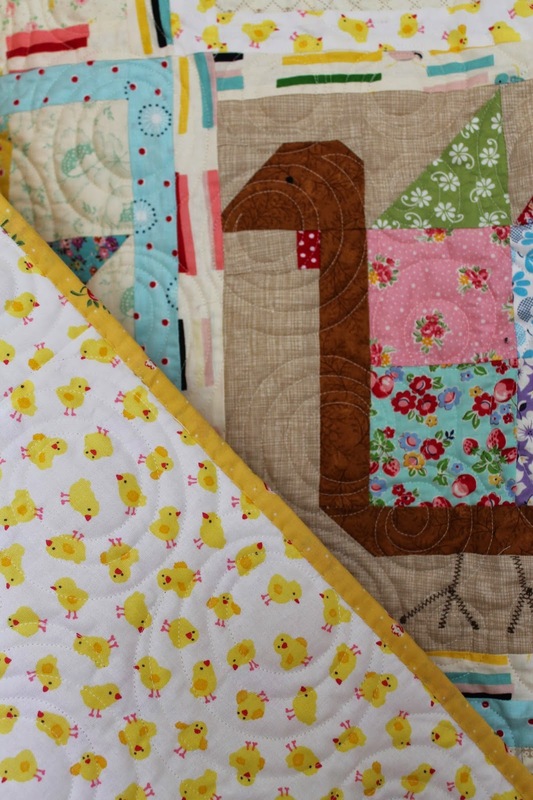 What a cute spring chickens quilt and that pink runner is adorable too. Thanks for sharing all these lovely photos! Your sewing is so creative! 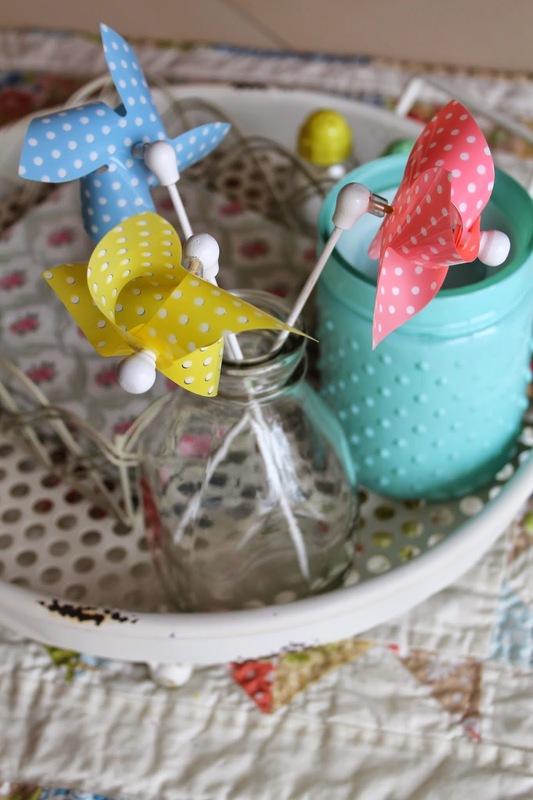 And the pinwheels are so cute. Where did you get them? I love your quilt, I would keep it hanging up, it is so fun and cheerful. I always enjoy using Lori Holt's designs. It sounds like you had a nice Easter with lot of friends and family. I always love times like that when we all get together.